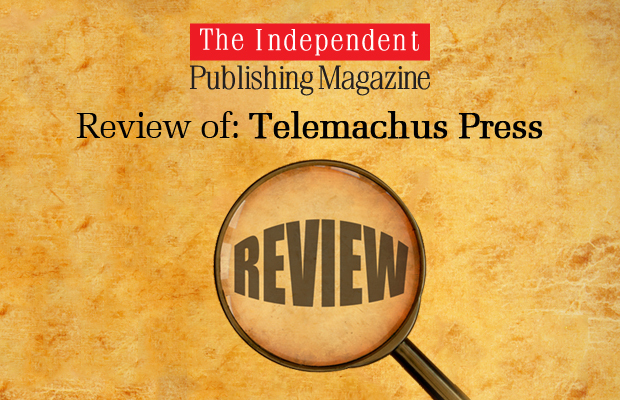 Telemachus Press describes itself as a ‘work for hire’ author services publishing company. Based in Florida, USA, the company was founded in 2009 by Claudia Jackson, a computer consultant and trainer, and husband Steven H. Jackson, a management and technology consultant and author. The company operates on some basic publishing services principles I can certainly identify with. The choice of name for the company is based in Greek mythology and you can find a full explanation here. What makes us different than a vanity press? You keep 100% of your royalties and receive complete sales reporting. All material that we create on your behalf belongs to you — it’s your property. We store all working copies of your book (interior and cover files) on a secure FTP site where you have access to your work 24/7. You don’t need our permission to retrieve a copy of your files. We work for you. […] we are today’s equivalent of the Private Press Publisher. Our attention to delivering a perfect book in all formats – eBook, paperback and hardback – is well recognized. We create the final product for each format individually, examining each page for perfection. Our covers are individual works of art. I’ve heard a lot of descriptions to describe companies that offer author publishing services, but Private Press Publisher is certainly a new one to me. Let’s see how that bears out later in the review. Telemachus Press certainly set a transparent note on its website with a full list of the people (with skill backgrounds) working on behalf of the company for its authors. While Telemachus Press is author-services driven, it’s still a welcome sight to see books and a link to the company’s catalogue featured on the main landing webpage. What I also like about how Telemachus Press is how information is succinctly conveyed on the website without the all too familiar fluff and puff of other service providers. Telemachus quickly let authors know what it can do and what it cannot do. Distribution is sourced through Ingram’s Lightning Source for print-on-demand books and Amazon and Smashwords are used for e-books. So what makes this company any different than any other? How do you prove that you are receiving 100% of your royalties? Own your publishing accounts! They should be in your name! All money from Amazon, Smashwords, Barnes & Noble, Apple, Ingram, and everyone else should come to you directly without a middle man anywhere! It’s your book, so why shouldn’t you keep all of the profits. It is a novel approach and does make a great deal of sense, as well as providing considerable transparency for Telemachus Press authors. But it begs an immediate question in my mind as to how exactly does this work. Crucially, who is the registered publisher of origin for Telemachus Press titles — the author or the publishing service? In other words, is Telemachus using its registered block of ISBNs, or ones registered to the author. While I appreciate the transparency, as an author using a Private Press Publisher, that would make all the difference to me. We will act as your publisher of record with Lightning Source, Inc. and your ISBN number will be registered with R.R. Bowker. Distribution will be provided by LSI and made available to retail bookstores (both domestic and international) for consumer orders. […] We collect royalties on your behalf and remit 100% of the royalties to you, no less than two times per year with complete sales reports. Ah, so in reality, outside of Telemachus Press taking no cut beyond print costs and retailer discount, it still remains the publisher of record. In that case, the ISBN is not ‘your’ ISBN at all. And royalties still pass through the publisher of record before being paid ‘no less than two times per year’. I can see how Telemachus might be able to set up accounts with e-book distributors like Amazon and Smashwords, but it cannot set up a commercial account on behalf of its authors with Lightning Source for POD set-up. This is not transparency; it’s just misleading. One term in the Publishing Service Agreement does indicate that an author can provide their own ISBN. However, I’m dubious about how this is all supposed to work. More on that further down under Publishing Service Agreement. We offer several publishing packages so we can meet any budget. But here is the important part, what we quote you is all you will ever pay us. There will never be an upsell or a disappointing call explaining that you need to buy a bigger package. Our authors who come to us from our larger competitors tell us over and over again about the bait and switch that they have experienced. They are our best and most appreciative clients. You will note from above that Telemachus Press does not provide marketing services. I’ve no inherent issue with this decision because Telemachus does not present itself as a full service provider and I appreciate the forthrightness in stating that this is not its area of expertise, rather than try to cobble together flimsy marketing services which have no real value to its authors. We are happy to discuss marketing ideas with you, at no cost. We also work with a website designer and a few marketing specialists that some of our authors have used. We would be happy to provide you with their information so you can get in touch with them. We never take referral fees. 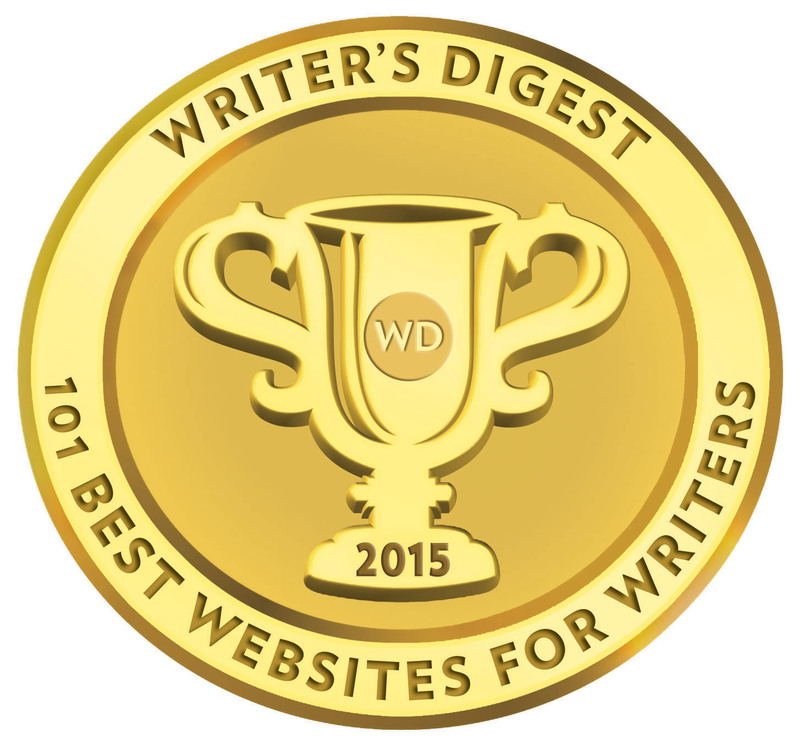 We do it because we want to help our authors. […] we only sell services that we can guarantee. Isn’t that what every good company needs to do? Telemachus prominently features BookBuzzr as one option for authors to use as a marketing option on its website. Online retailers will sell your POD book for 20%. Period. End of story. We do it every day. If your self-publisher tells you that the share to Amazon or anyone else in an online sale needs to be higher, you are not getting the facts. Wonder where the difference goes. Telemachus Press will pay royalties at least twice a year and authors are paid the full remaining revenue after print costs and a 20% discount is set for online retailers. Authors can also purchase print copies of books at print cost. On its Make More Money page, Telemachus lay out the breakdown of discounts, print costs and revenue. Two crucial points here on the figures presented. Due to the very high upfront costs an author has to pay before publication, realistically, an author will need to sell between 500-1000 books before turning any kind of reasonable profit. And that is just based on the costs paid to Telemachus Press for basic design, production and distribution services. The other point is Telemachus’ discount offered to retailers at 20%. Just because you can set the retail discount for an online retailer at 20% doesn’t make it right or the book a viable product. For one thing, the retailer is unlikely to offer any kind of discount to the consumer. The suggested retail prices in Telemachus’ examples for a printed book are $9.95 for a 200 page book and $14.95 for a 300 page book. Authors can set their own retail prices for e-books. TP will provide instructional material to assist the Author in establishing accounts with popular eBook publishing sites including Amazon (Kindle), Barnes and Noble (Nook) and Apple (iPad). Additionally, instructional materials and tools specific to uploading the manuscript, cover and ancillary material to populate book “pages” on these sites will be provide. Email support to assist in this process and provide technical support is also included. TP will also provide instructional material to assist the Author in online access to these accounts so that the Author can check on sales of their work and direct payment directly from these eBook publishers to the Author. 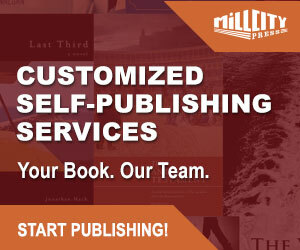 […]TP will provide an IBSN number that associates your eBook with Telemachus Press. The Author may also provide an ISBN number that they have lawfully purchased should they desire to be the publisher of record. Okay, so hold everything here. Telemachus isn’t actually setting up accounts on behalf of authors. It’s simply providing instructions about how it should be done. Complete the enrollment into the SPARK program online at www.>>>>>>>. That wouldn’t be IngramSpark per chance, would it? Telemachus Press also provides editing services. Telemachus Press is like a trip to the best grocery store in town. But from the moment you get to the checkout, it all goes pear-shaped. The upfront fees ranging from $1500 for an e-book to $3800 for combined e-book and print options are way overpriced. Then you get to the parking lot and the ends fall out of your grocery bags. The upfront fees are way off the field of play and I don’t accept the arguments Telemachus make about being hands-on and doing all the stuff that needs to be done to get an author’s book into distribution from manuscript submission. There are several companies that do the same and more for several hundred dollars — BookLocker and Selfpublishing.com come to mind. There is a big difference claiming you will set up accounts in the name of authors, while in reality, you simply provide instructions for authors to set those accounts up before doing the upload on their behalf. That’s the thing with self-publishing. You can’t self-publish for authors without their considerable involvement and you certainly can’t charge them $2500 for a design, formatting and POD set-up without being called out on it no matter what your best intentions. And, yet, there is so much to laud Telemachus Press about. Authors need help; they need hand-holding. The value placed on an author’s work; the willingness to accept that what an author pays for is their property; the willingness to sell book stock at print cost; and provide the author with the full remaining revenue. All of these are admirable qualities in an author service provider. There is a lot to applaud Telemachus Press on. Yet, there is so much to pull your hair out when you dig deeper. I’ve heard several authors speak with great praise about working with Telemachus Press. One of its most notable authors is John Locke. I also can’t ignore what the staff of this company do for authors has great value — to a point. But I can’t ignore some of its shortcomings. In short, there is nothing wrong with Telemachus Press, as a publishing service, but it is simply asking too much for publishing packages — overvaluing what it actually provides compared to its competitors and the freelance market. Telemachus Press also expect considerable support and assistance from the author to carry out some of its functions. PROS—Hands-on support; production files are property of author; their ISBN or yours; clean and efficient website; no print mark-ups; author can terminate contract at any time; and 100% revenue after print & retail discounts. 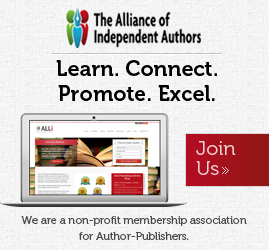 CONS—Author needs to set up initial distribution accounts; no online bookstore; no direct marketing services; 20% discount offered to retailers; high upfront package costs; royalties may only be paid twice yearly; important detail buried in blog posts; and publisher agreement not linked on website.